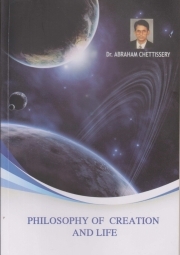 Description of "Philosophy of Creation and Life (eBook)"
A book on Philosophy dealing with the philosophy of creation and life that aims at knowing more about the cause and purpose behind creation of the universe and the life. The book reveals all the hidden and meaning about what we see and come across, and also it says what really the universe and the creation is, and what's the real purpose for the creation and existence of each and everything that we see and experience. A Philosopher and lawyer by profession who has authored three books and published 97 articles on various contemporary subjects. He is also doctorate in Philosophy. He is also a visiting professor in Philosophy, Law and Management subjects. Reviews of "Philosophy of Creation and Life (eBook)"